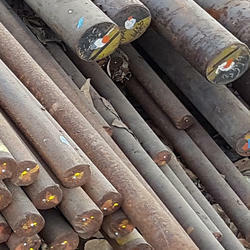 We are a leading Exporter of 1.0401, c15 steel round bar, rods & bars, 1.0406, c25 steel round bar, rods & bars, 1.0408, e255 steel round bar, rods & bars, 1.0413, c15d steel round bar, rods & bars, 1.0415, c26d steel round bar, rods & bars and 1.0417, hc260p steel round bar, rods & bars from Mumbai, India. Jayant Impex Pvt Ltd, India, Maharashtra, Khopoli, Mumbai are leading 1.0401 / C15 Bars & Rods - Flat, Square, Ring, Hollow, Hex , alloy steel bars, carbon steel, alloy steel supplier, exporter, trader, wholesaler, stockiest, retailer, dealer, distributor, stock holder. Client can procure smaller quantities of 1.0401 / C15 Bars & Rods - Flat, Square, Ring, Hollow, Hex online ready stock at premium price from us to any destination by just sending us an email. If any requirements for 1.0401 / C15 Bars & Rods - Flat, Square, Ring, Hollow, Hex kindly do contact us. Jayant Impex Pvt Ltd, India, Maharashtra, Khopoli, Mumbai are leading 1.0406 / C25 Bars & Rods - Flat, Square, Ring, Hollow, Hex , alloy steel bars, carbon steel, alloy steel supplier, exporter, trader, wholesaler, stockiest, retailer, dealer, distributor, stock holder. Client can procure smaller quantities of 1.0406 / C25 Bars & Rods - Flat, Square, Ring, Hollow, Hex online ready stock at premium price from us to any destination by just sending us an email. If any requirements for 1.0406 / C25 Bars & Rods - Flat, Square, Ring, Hollow, Hex kindly do contact us. Jayant Impex Pvt Ltd, India, Maharashtra, Khopoli, Mumbai are leading 1.0408 / E255 Bars & Rods - Flat, Square, Ring, Hollow, Hex , alloy steel bars, carbon steel, alloy steel supplier, exporter, trader, wholesaler, stockiest, retailer, dealer, distributor, stock holder. 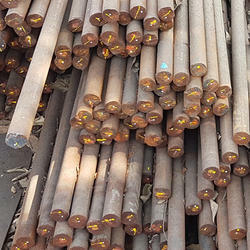 Client can procure smaller quantities of 1.0408 / E255 Bars & Rods - Flat, Square, Ring, Hollow, Hex online ready stock at premium price from us to any destination by just sending us an email. If any requirements for 1.0408 / E255 Bars & Rods - Flat, Square, Ring, Hollow, Hex kindly do contact us. Jayant Impex Pvt Ltd, India, Maharashtra, Khopoli, Mumbai are leading 1.0413 / C15D Bars & Rods - Flat, Square, Ring, Hollow, Hex , alloy steel bars, carbon steel, alloy steel supplier, exporter, trader, wholesaler, stockiest, retailer, dealer, distributor, stock holder. 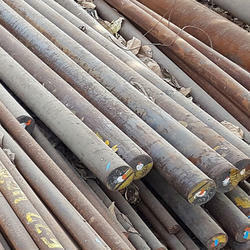 Client can procure smaller quantities of 1.0413 / C15D Bars & Rods - Flat, Square, Ring, Hollow, Hex online ready stock at premium price from us to any destination by just sending us an email. If any requirements for 1.0413 / C15D Bars & Rods - Flat, Square, Ring, Hollow, Hex kindly do contact us. Jayant Impex Pvt Ltd, India, Maharashtra, Khopoli, Mumbai are leading 1.0415 / C26D Bars & Rods - Flat, Square, Ring, Hollow, Hex , alloy steel bars, carbon steel, alloy steel supplier, exporter, trader, wholesaler, stockiest, retailer, dealer, distributor, stock holder. 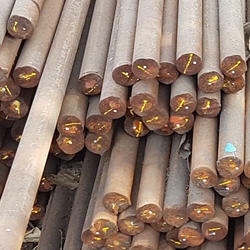 Client can procure smaller quantities of 1.0415 / C26D Bars & Rods - Flat, Square, Ring, Hollow, Hex online ready stock at premium price from us to any destination by just sending us an email. If any requirements for 1.0415 / C26D Bars & Rods - Flat, Square, Ring, Hollow, Hex kindly do contact us. Jayant Impex Pvt Ltd, India, Maharashtra, Khopoli, Mumbai are leading 1.0417 / HC260P Bars & Rods - Flat, Square, Ring, Hollow, Hex , alloy steel bars, carbon steel, alloy steel supplier, exporter, trader, wholesaler, stockiest, retailer, dealer, distributor, stock holder. 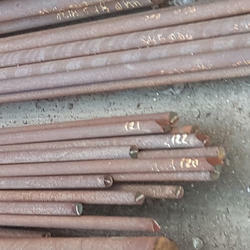 Client can procure smaller quantities of 1.0417 / HC260P Bars & Rods - Flat, Square, Ring, Hollow, Hex online ready stock at premium price from us to any destination by just sending us an email. If any requirements for 1.0417 / HC260P Bars & Rods - Flat, Square, Ring, Hollow, Hex kindly do contact us. Jayant Impex Pvt Ltd, India, Maharashtra, Khopoli, Mumbai are leading 1.0419 / L355 Bars & Rods - Flat, Square, Ring, Hollow, Hex , alloy steel bars, carbon steel, alloy steel supplier, exporter, trader, wholesaler, stockiest, retailer, dealer, distributor, stock holder. 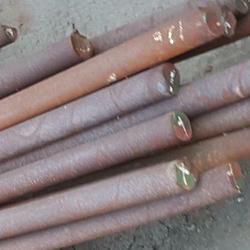 Client can procure smaller quantities of 1.0419 / L355 Bars & Rods - Flat, Square, Ring, Hollow, Hex online ready stock at premium price from us to any destination by just sending us an email. If any requirements for 1.0419 / L355 Bars & Rods - Flat, Square, Ring, Hollow, Hex kindly do contact us. Jayant Impex Pvt Ltd, India, Maharashtra, Khopoli, Mumbai are leading 1.0423 / P265NB Bars & Rods - Flat, Square, Ring, Hollow, Hex , alloy steel bars, carbon steel, alloy steel supplier, exporter, trader, wholesaler, stockiest, retailer, dealer, distributor, stock holder. 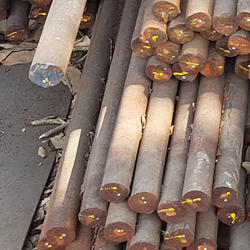 Client can procure smaller quantities of 1.0423 / P265NB Bars & Rods - Flat, Square, Ring, Hollow, Hex online ready stock at premium price from us to any destination by just sending us an email. 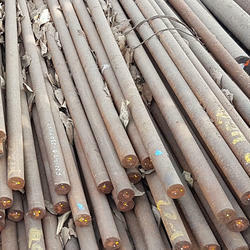 If any requirements for 1.0423 / P265NB Bars & Rods - Flat, Square, Ring, Hollow, Hex kindly do contact us. Jayant Impex Pvt Ltd, India, Maharashtra, Khopoli, Mumbai are leading 1.0426 / P280GH Bars & Rods - Flat, Square, Ring, Hollow, Hex , alloy steel bars, carbon steel, alloy steel supplier, exporter, trader, wholesaler, stockiest, retailer, dealer, distributor, stock holder. 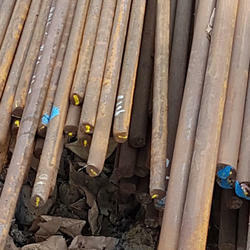 Client can procure smaller quantities of 1.0426 / P280GH Bars & Rods - Flat, Square, Ring, Hollow, Hex online ready stock at premium price from us to any destination by just sending us an email. If any requirements for 1.0426 / P280GH Bars & Rods - Flat, Square, Ring, Hollow, Hex kindly do contact us. Jayant Impex Pvt Ltd, India, Maharashtra, Khopoli, Mumbai are leading 1.0431 / H260PD Bars & Rods - Flat, Square, Ring, Hollow, Hex , alloy steel bars, carbon steel, alloy steel supplier, exporter, trader, wholesaler, stockiest, retailer, dealer, distributor, stock holder. 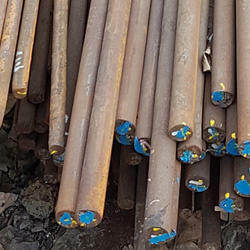 Client can procure smaller quantities of 1.0431 / H260PD Bars & Rods - Flat, Square, Ring, Hollow, Hex online ready stock at premium price from us to any destination by just sending us an email. If any requirements for 1.0431 / H260PD Bars & Rods - Flat, Square, Ring, Hollow, Hex kindly do contact us. Jayant Impex Pvt Ltd, India, Maharashtra, Khopoli, Mumbai are leading 1.0434 / C17C Bars & Rods - Flat, Square, Ring, Hollow, Hex , alloy steel bars, carbon steel, alloy steel supplier, exporter, trader, wholesaler, stockiest, retailer, dealer, distributor, stock holder. 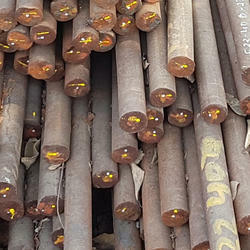 Client can procure smaller quantities of 1.0434 / C17C Bars & Rods - Flat, Square, Ring, Hollow, Hex online ready stock at premium price from us to any destination by just sending us an email. If any requirements for 1.0434 / C17C Bars & Rods - Flat, Square, Ring, Hollow, Hex kindly do contact us. Jayant Impex Pvt Ltd, India, Maharashtra, Khopoli, Mumbai are leading 1.0437 / P310NB Bars & Rods - Flat, Square, Ring, Hollow, Hex , alloy steel bars, carbon steel, alloy steel supplier, exporter, trader, wholesaler, stockiest, retailer, dealer, distributor, stock holder. 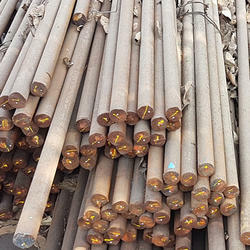 Client can procure smaller quantities of 1.0437 / P310NB Bars & Rods - Flat, Square, Ring, Hollow, Hex online ready stock at premium price from us to any destination by just sending us an email. If any requirements for 1.0437 / P310NB Bars & Rods - Flat, Square, Ring, Hollow, Hex kindly do contact us. Jayant Impex Pvt Ltd, India, Maharashtra, Khopoli, Mumbai are leading 1.0444 / HC300B Bars & Rods - Flat, Square, Ring, Hollow, Hex , alloy steel bars, carbon steel, alloy steel supplier, exporter, trader, wholesaler, stockiest, retailer, dealer, distributor, stock holder. 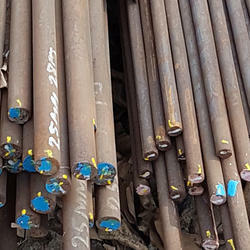 Client can procure smaller quantities of 1.0444 / HC300B Bars & Rods - Flat, Square, Ring, Hollow, Hex online ready stock at premium price from us to any destination by just sending us an email. If any requirements for 1.0444 / HC300B Bars & Rods - Flat, Square, Ring, Hollow, Hex kindly do contact us. Jayant Impex Pvt Ltd, India, Maharashtra, Khopoli, Mumbai are leading 1.0446 / GE240 Bars & Rods - Flat, Square, Ring, Hollow, Hex , alloy steel bars, carbon steel, alloy steel supplier, exporter, trader, wholesaler, stockiest, retailer, dealer, distributor, stock holder. Client can procure smaller quantities of 1.0446 / GE240 Bars & Rods - Flat, Square, Ring, Hollow, Hex online ready stock at premium price from us to any destination by just sending us an email. If any requirements for 1.0446 / GE240 Bars & Rods - Flat, Square, Ring, Hollow, Hex kindly do contact us. Jayant Impex Pvt Ltd, India, Maharashtra, Khopoli, Mumbai are leading 1.0448 / HC300P Bars & Rods - Flat, Square, Ring, Hollow, Hex , alloy steel bars, carbon steel, alloy steel supplier, exporter, trader, wholesaler, stockiest, retailer, dealer, distributor, stock holder. 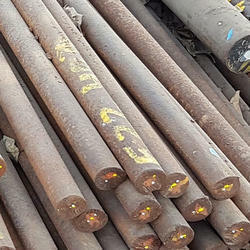 Client can procure smaller quantities of 1.0448 / HC300P Bars & Rods - Flat, Square, Ring, Hollow, Hex online ready stock at premium price from us to any destination by just sending us an email. If any requirements for 1.0448 / HC300P Bars & Rods - Flat, Square, Ring, Hollow, Hex kindly do contact us. Jayant Impex Pvt Ltd, India, Maharashtra, Khopoli, Mumbai are leading 1.0451 / P215NL Bars & Rods - Flat, Square, Ring, Hollow, Hex , alloy steel bars, carbon steel, alloy steel supplier, exporter, trader, wholesaler, stockiest, retailer, dealer, distributor, stock holder. 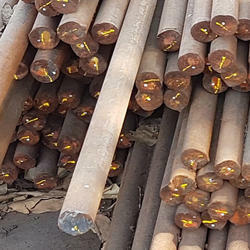 Client can procure smaller quantities of 1.0451 / P215NL Bars & Rods - Flat, Square, Ring, Hollow, Hex online ready stock at premium price from us to any destination by just sending us an email. If any requirements for 1.0451 / P215NL Bars & Rods - Flat, Square, Ring, Hollow, Hex kindly do contact us. Jayant Impex Pvt Ltd, India, Maharashtra, Khopoli, Mumbai are leading 1.0453 / P265NL Bars & Rods - Flat, Square, Ring, Hollow, Hex , alloy steel bars, carbon steel, alloy steel supplier, exporter, trader, wholesaler, stockiest, retailer, dealer, distributor, stock holder. 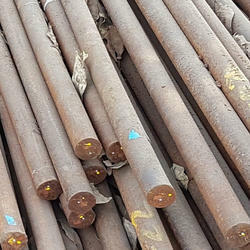 Client can procure smaller quantities of 1.0453 / P265NL Bars & Rods - Flat, Square, Ring, Hollow, Hex online ready stock at premium price from us to any destination by just sending us an email. If any requirements for 1.0453 / P265NL Bars & Rods - Flat, Square, Ring, Hollow, Hex kindly do contact us. 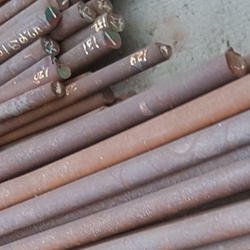 Jayant Impex Pvt Ltd, India, Maharashtra, Khopoli, Mumbai are leading 1.0456 / E275K2 Bars & Rods - Flat, Square, Ring, Hollow, Hex , alloy steel bars, carbon steel, alloy steel supplier, exporter, trader, wholesaler, stockiest, retailer, dealer, distributor, stock holder. 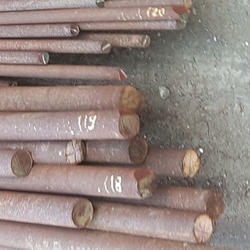 Client can procure smaller quantities of 1.0456 / E275K2 Bars & Rods - Flat, Square, Ring, Hollow, Hex online ready stock at premium price from us to any destination by just sending us an email. If any requirements for 1.0456 / E275K2 Bars & Rods - Flat, Square, Ring, Hollow, Hex kindly do contact us. Jayant Impex Pvt Ltd, India, Maharashtra, Khopoli, Mumbai are leading 1.0458 / L235GA Bars & Rods - Flat, Square, Ring, Hollow, Hex , alloy steel bars, carbon steel, alloy steel supplier, exporter, trader, wholesaler, stockiest, retailer, dealer, distributor, stock holder. 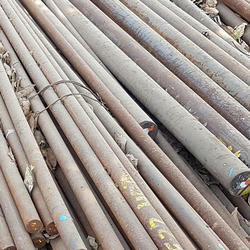 Client can procure smaller quantities of 1.0458 / L235GA Bars & Rods - Flat, Square, Ring, Hollow, Hex online ready stock at premium price from us to any destination by just sending us an email. If any requirements for 1.0458 / L235GA Bars & Rods - Flat, Square, Ring, Hollow, Hex kindly do contact us. Jayant Impex Pvt Ltd, India, Maharashtra, Khopoli, Mumbai are leading 1.0460 / P250GH Bars & Rods - Flat, Square, Ring, Hollow, Hex , alloy steel bars, carbon steel, alloy steel supplier, exporter, trader, wholesaler, stockiest, retailer, dealer, distributor, stock holder. 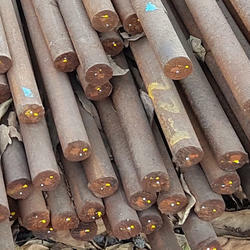 Client can procure smaller quantities of 1.0460 / P250GH Bars & Rods - Flat, Square, Ring, Hollow, Hex online ready stock at premium price from us to any destination by just sending us an email. If any requirements for 1.0460 / P250GH Bars & Rods - Flat, Square, Ring, Hollow, Hex kindly do contact us. Jayant Impex Pvt Ltd, India, Maharashtra, Khopoli, Mumbai are leading 1.0473 / P355GH Bars & Rods - Flat, Square, Ring, Hollow, Hex , alloy steel bars, carbon steel, alloy steel supplier, exporter, trader, wholesaler, stockiest, retailer, dealer, distributor, stock holder. 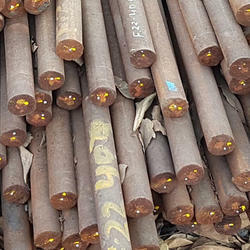 Client can procure smaller quantities of 1.0473 / P355GH Bars & Rods - Flat, Square, Ring, Hollow, Hex online ready stock at premium price from us to any destination by just sending us an email. If any requirements for 1.0473 / P355GH Bars & Rods - Flat, Square, Ring, Hollow, Hex kindly do contact us. Jayant Impex Pvt Ltd, India, Maharashtra, Khopoli, Mumbai are leading 1.0477 / P285NH Bars & Rods - Flat, Square, Ring, Hollow, Hex , alloy steel bars, carbon steel, alloy steel supplier, exporter, trader, wholesaler, stockiest, retailer, dealer, distributor, stock holder. 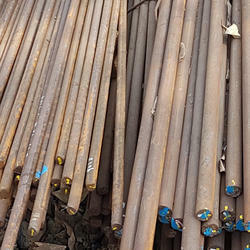 Client can procure smaller quantities of 1.0477 / P285NH Bars & Rods - Flat, Square, Ring, Hollow, Hex online ready stock at premium price from us to any destination by just sending us an email. If any requirements for 1.0477 / P285NH Bars & Rods - Flat, Square, Ring, Hollow, Hex kindly do contact us. Jayant Impex Pvt Ltd, India, Maharashtra, Khopoli, Mumbai are leading 1.0478 / P285QH Bars & Rods - Flat, Square, Ring, Hollow, Hex , alloy steel bars, carbon steel, alloy steel supplier, exporter, trader, wholesaler, stockiest, retailer, dealer, distributor, stock holder. 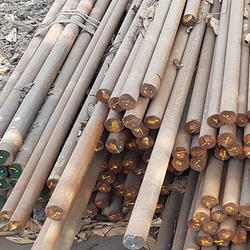 Client can procure smaller quantities of 1.0478 / P285QH Bars & Rods - Flat, Square, Ring, Hollow, Hex online ready stock at premium price from us to any destination by just sending us an email. If any requirements for 1.0478 / P285QH Bars & Rods - Flat, Square, Ring, Hollow, Hex kindly do contact us. Jayant Impex Pvt Ltd, India, Maharashtra, Khopoli, Mumbai are leading 1.0480 / HC260LA Bars & Rods - Flat, Square, Ring, Hollow, Hex , alloy steel bars, carbon steel, alloy steel supplier, exporter, trader, wholesaler, stockiest, retailer, dealer, distributor, stock holder. 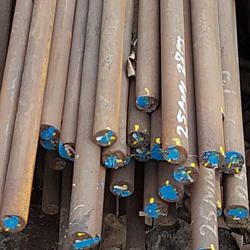 Client can procure smaller quantities of 1.0480 / HC260LA Bars & Rods - Flat, Square, Ring, Hollow, Hex online ready stock at premium price from us to any destination by just sending us an email. If any requirements for 1.0480 / HC260LA Bars & Rods - Flat, Square, Ring, Hollow, Hex kindly do contact us. Jayant Impex Pvt Ltd, India, Maharashtra, Khopoli, Mumbai are leading 1.0481 / P295GH Bars & Rods - Flat, Square, Ring, Hollow, Hex , alloy steel bars, carbon steel, alloy steel supplier, exporter, trader, wholesaler, stockiest, retailer, dealer, distributor, stock holder. Client can procure smaller quantities of 1.0481 / P295GH Bars & Rods - Flat, Square, Ring, Hollow, Hex online ready stock at premium price from us to any destination by just sending us an email. If any requirements for 1.0481 / P295GH Bars & Rods - Flat, Square, Ring, Hollow, Hex kindly do contact us. Jayant Impex Pvt Ltd, India, Maharashtra, Khopoli, Mumbai are leading 1.0483 / L290GA Bars & Rods - Flat, Square, Ring, Hollow, Hex , alloy steel bars, carbon steel, alloy steel supplier, exporter, trader, wholesaler, stockiest, retailer, dealer, distributor, stock holder. Client can procure smaller quantities of 1.0483 / L290GA Bars & Rods - Flat, Square, Ring, Hollow, Hex online ready stock at premium price from us to any destination by just sending us an email. If any requirements for 1.0483 / L290GA Bars & Rods - Flat, Square, Ring, Hollow, Hex kindly do contact us. Jayant Impex Pvt Ltd, India, Maharashtra, Khopoli, Mumbai are leading 1.0487 / P275NH Bars & Rods - Flat, Square, Ring, Hollow, Hex , alloy steel bars, carbon steel, alloy steel supplier, exporter, trader, wholesaler, stockiest, retailer, dealer, distributor, stock holder. 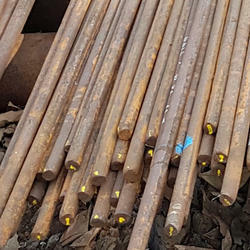 Client can procure smaller quantities of 1.0487 / P275NH Bars & Rods - Flat, Square, Ring, Hollow, Hex online ready stock at premium price from us to any destination by just sending us an email. If any requirements for 1.0487 / P275NH Bars & Rods - Flat, Square, Ring, Hollow, Hex kindly do contact us. Jayant Impex Pvt Ltd, India, Maharashtra, Khopoli, Mumbai are leading 1.0489 / HC300LA Bars & Rods - Flat, Square, Ring, Hollow, Hex , alloy steel bars, carbon steel, alloy steel supplier, exporter, trader, wholesaler, stockiest, retailer, dealer, distributor, stock holder. 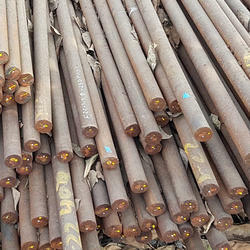 Client can procure smaller quantities of 1.0489 / HC300LA Bars & Rods - Flat, Square, Ring, Hollow, Hex online ready stock at premium price from us to any destination by just sending us an email. If any requirements for 1.0489 / HC300LA Bars & Rods - Flat, Square, Ring, Hollow, Hex kindly do contact us. Jayant Impex Pvt Ltd, India, Maharashtra, Khopoli, Mumbai are leading 1.0491 / S275NL Bars & Rods - Flat, Square, Ring, Hollow, Hex , alloy steel bars, carbon steel, alloy steel supplier, exporter, trader, wholesaler, stockiest, retailer, dealer, distributor, stock holder. 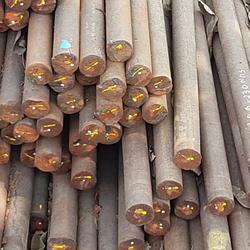 Client can procure smaller quantities of 1.0491 / S275NL Bars & Rods - Flat, Square, Ring, Hollow, Hex online ready stock at premium price from us to any destination by just sending us an email. If any requirements for 1.0491 / S275NL Bars & Rods - Flat, Square, Ring, Hollow, Hex kindly do contact us. 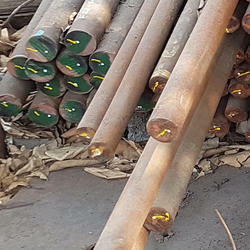 Jayant Impex Pvt Ltd, India, Maharashtra, Khopoli, Mumbai are leading 1.0497 / S275NLH Bars & Rods - Flat, Square, Ring, Hollow, Hex , alloy steel bars, carbon steel, alloy steel supplier, exporter, trader, wholesaler, stockiest, retailer, dealer, distributor, stock holder. 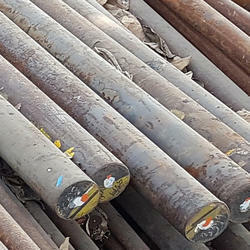 Client can procure smaller quantities of 1.0497 / S275NLH Bars & Rods - Flat, Square, Ring, Hollow, Hex online ready stock at premium price from us to any destination by just sending us an email. If any requirements for 1.0497 / S275NLH Bars & Rods - Flat, Square, Ring, Hollow, Hex kindly do contact us. Jayant Impex Pvt Ltd, India, Maharashtra, Khopoli, Mumbai are leading 1.0484 / L290NB Bars & Rods - Flat, Square, Ring, Hollow, Hex , alloy steel bars, carbon steel, alloy steel supplier, exporter, trader, wholesaler, stockiest, retailer, dealer, distributor, stock holder. 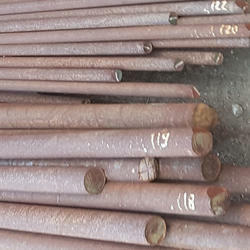 Client can procure smaller quantities of 1.0484 / L290NB Bars & Rods - Flat, Square, Ring, Hollow, Hex online ready stock at premium price from us to any destination by just sending us an email. If any requirements for 1.0484 / L290NB Bars & Rods - Flat, Square, Ring, Hollow, Hex kindly do contact us. Jayant Impex Pvt Ltd, India, Maharashtra, Khopoli, Mumbai are leading 1.0488 / P275NL1 Bars & Rods - Flat, Square, Ring, Hollow, Hex , alloy steel bars, carbon steel, alloy steel supplier, exporter, trader, wholesaler, stockiest, retailer, dealer, distributor, stock holder. Client can procure smaller quantities of 1.0488 / P275NL1 Bars & Rods - Flat, Square, Ring, Hollow, Hex online ready stock at premium price from us to any destination by just sending us an email. If any requirements for 1.0488 / P275NL1 Bars & Rods - Flat, Square, Ring, Hollow, Hex kindly do contact us. Jayant Impex Pvt Ltd, India, Maharashtra, Khopoli, Mumbai are leading 1.0490 / S275N Bars & Rods - Flat, Square, Ring, Hollow, Hex , alloy steel bars, carbon steel, alloy steel supplier, exporter, trader, wholesaler, stockiest, retailer, dealer, distributor, stock holder. 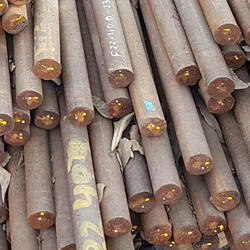 Client can procure smaller quantities of 1.0490 / S275N Bars & Rods - Flat, Square, Ring, Hollow, Hex online ready stock at premium price from us to any destination by just sending us an email. If any requirements for 1.0490 / S275N Bars & Rods - Flat, Square, Ring, Hollow, Hex kindly do contact us. 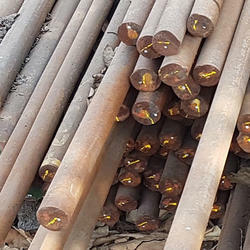 Jayant Impex Pvt Ltd, India, Maharashtra, Khopoli, Mumbai are leading 1.0493 / S275NH Bars & Rods - Flat, Square, Ring, Hollow, Hex , alloy steel bars, carbon steel, alloy steel supplier, exporter, trader, wholesaler, stockiest, retailer, dealer, distributor, stock holder. 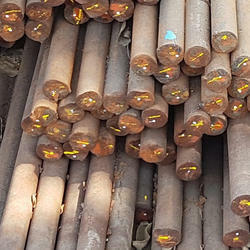 Client can procure smaller quantities of 1.0493 / S275NH Bars & Rods - Flat, Square, Ring, Hollow, Hex online ready stock at premium price from us to any destination by just sending us an email. If any requirements for 1.0493 / S275NH Bars & Rods - Flat, Square, Ring, Hollow, Hex kindly do contact us. Jayant Impex Pvt Ltd, India, Maharashtra, Khopoli, Mumbai are leading 1.0499 / L360GA Bars & Rods - Flat, Square, Ring, Hollow, Hex , alloy steel bars, carbon steel, alloy steel supplier, exporter, trader, wholesaler, stockiest, retailer, dealer, distributor, stock holder. 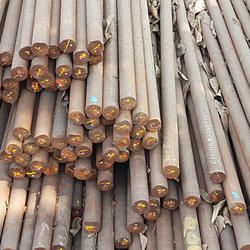 Client can procure smaller quantities of 1.0499 / L360GA Bars & Rods - Flat, Square, Ring, Hollow, Hex online ready stock at premium price from us to any destination by just sending us an email. If any requirements for 1.0499 / L360GA Bars & Rods - Flat, Square, Ring, Hollow, Hex kindly do contact us. 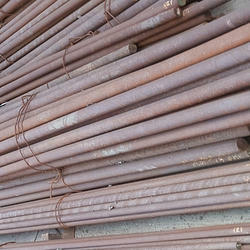 Looking for Low Carbon Steel Bars & Rods ?